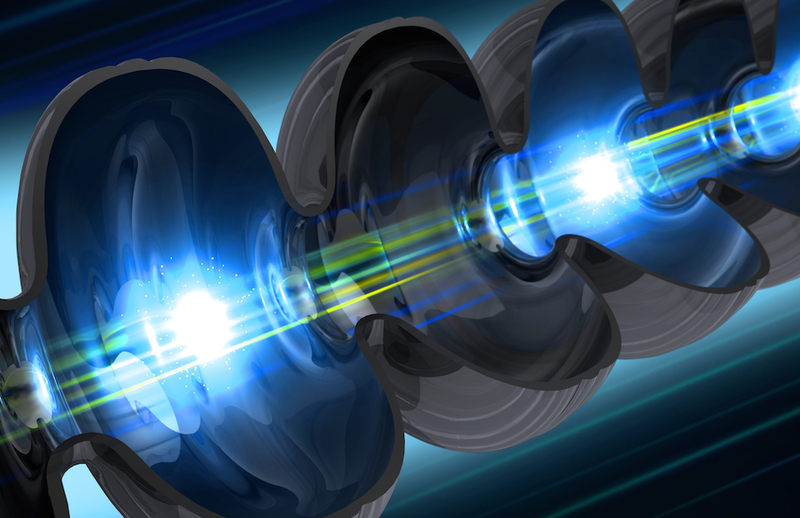 Unique device will create bunches of electrons to stimulate million-per-second X-ray pulses. Scientists will employ the X-ray pulses to explore the interaction of light and matter in new ways, producing sequences of snapshots that can create atomic- and molecular-scale “movies,” for example, to illuminate chemical changes, magnetic effects, and other phenomena that occur in just quadrillionths (million-billionths) of a second. 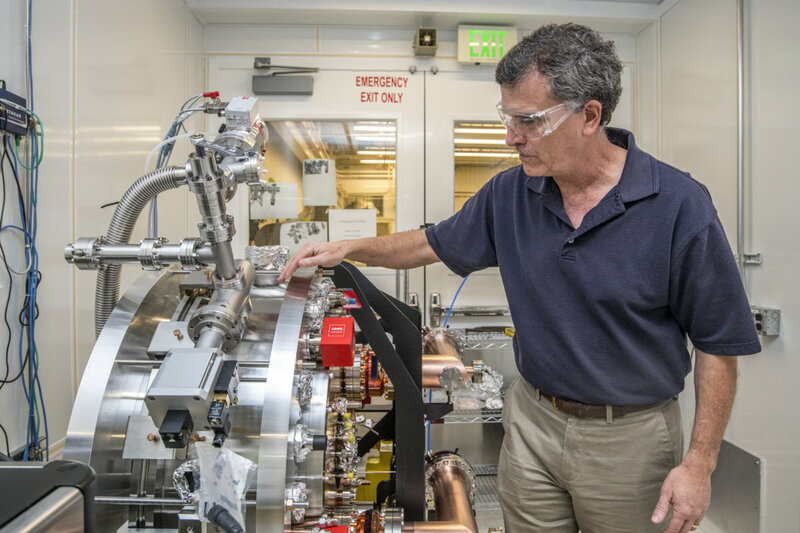 This new laser will complement experiments at SLAC’s existing X-ray laser, which launched in 2009 and fires up to 120 X-ray pulses per second. That laser will also be upgraded as a part of the LCLS-II project. 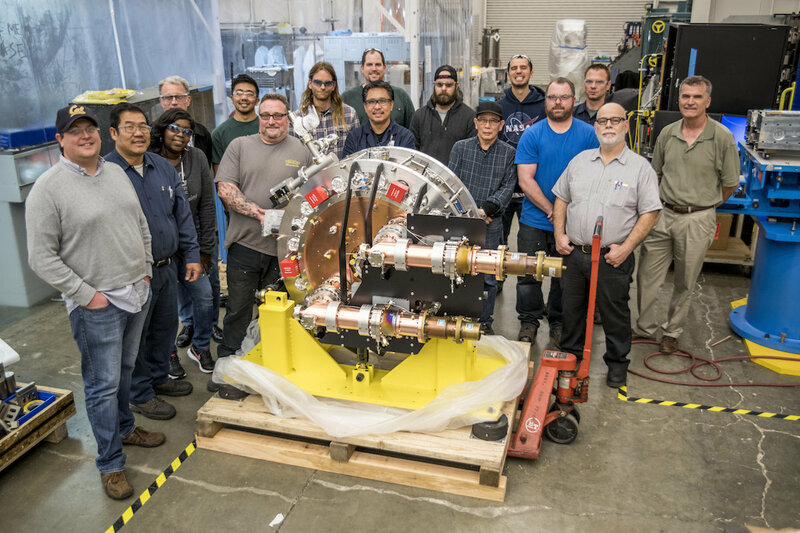 “The completion of the LCLS-II injector project is the culmination of more than three years of effort,” added Steve Virostek, a Berkeley Lab senior engineer who led the gun construction. The Berkeley Lab team included mechanical engineers, physicists, radio-frequency engineers, mechanical designers, fabrication shop personnel, and assembly technicians. “Virtually everyone in the Lab’s main fabrication shop made vital contributions,” he added, in the areas of machining, welding, brazing, ultrahigh-vacuum cleaning, and precision measurements. 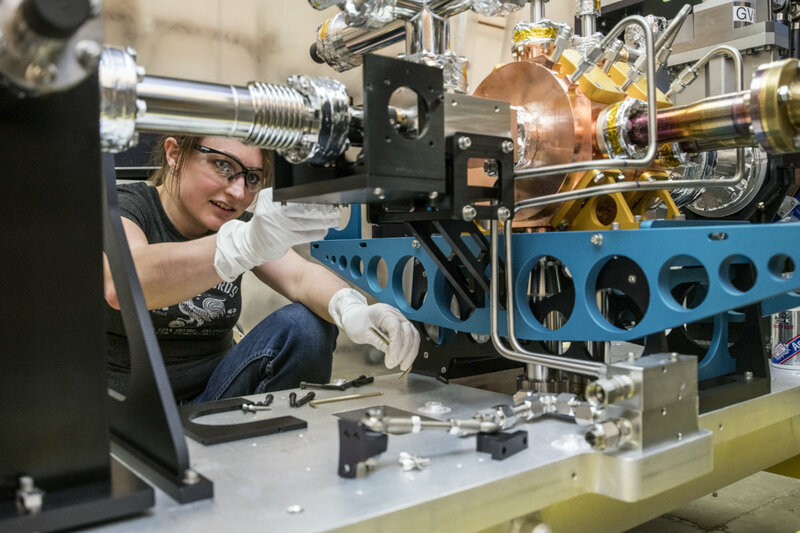 The injector source is one of Berkeley Lab’s major contributions to the LCLS-II project, and builds upon its expertise in similar electron gun designs, including the completion of a prototype gun. 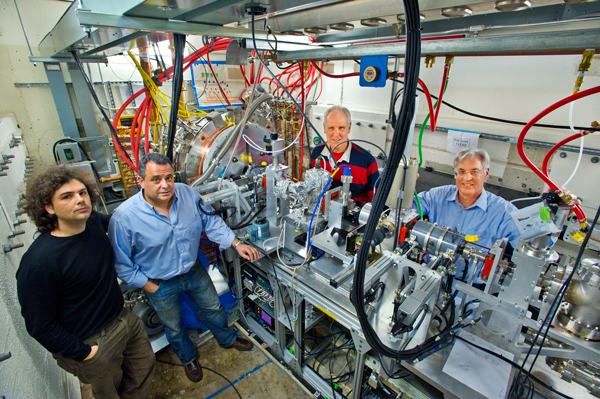 Almost a decade ago, Berkeley Lab researchers began building a prototype for the injector system in a beam-testing area at the Lab’s Advanced Light Source. 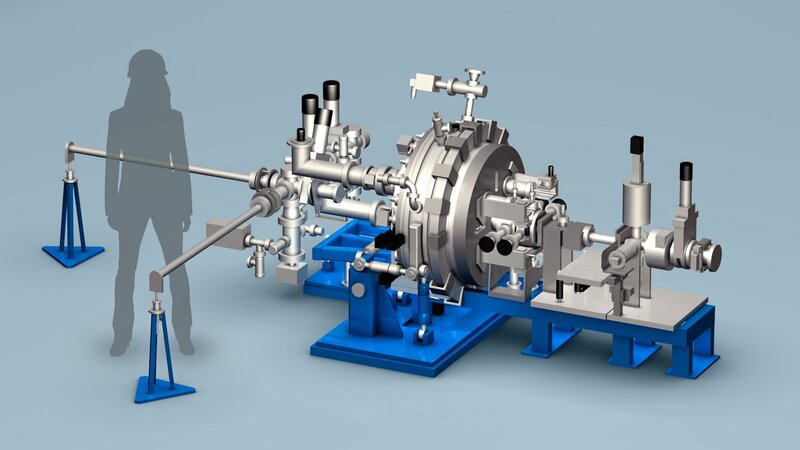 That successful effort, dubbed APEX (Advanced Photoinjector Experiment), produced a working injector that has since been repurposed for experiments that use its electron beam to study ultrafast processes at the atomic scale. Fernando Sannibale, Head of Accelerator Physics at the ALS, led the development of the prototype injector gun. The lessons learned with APEX inspired several design changes that are incorporated in the LCLS-II injector, such as an improved cooling system to prevent overheating and metal deformations, as well as innovative cleaning processes. Like a battery, the injector has components called an anode and cathode. 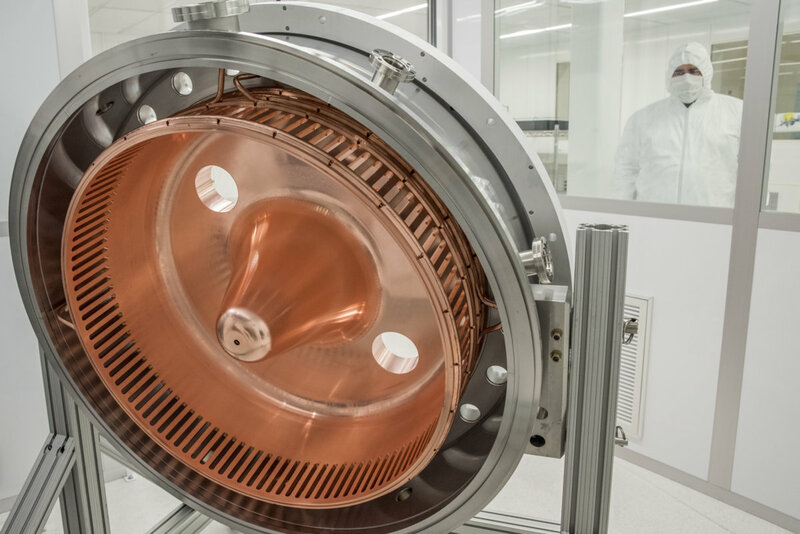 These components form a vacuum-sealed central copper chamber known as a radio-frequency accelerating cavity that sends out the electron bunches in a carefully controlled way. The cavity is precisely tuned to operate at very high frequencies and is ringed with an array of channels that allow it to be water-cooled, preventing overheating from the radio-frequency currents interacting with copper in the injector’s central cavity. A copper cone structure within its central cavity is tipped with a specially coated and polished slug of molybdenum known as a photocathode. Light from an infrared laser is converted to an ultraviolet (UV) frequency laser, and this UV light is steered by mirrors onto a small spot on the cathode that is coated with cesium telluride (Cs2Te), exciting the electrons. These electrons are are formed into bunches and accelerated by the cavity, which will, in turn, connect to the superconducting accelerator. 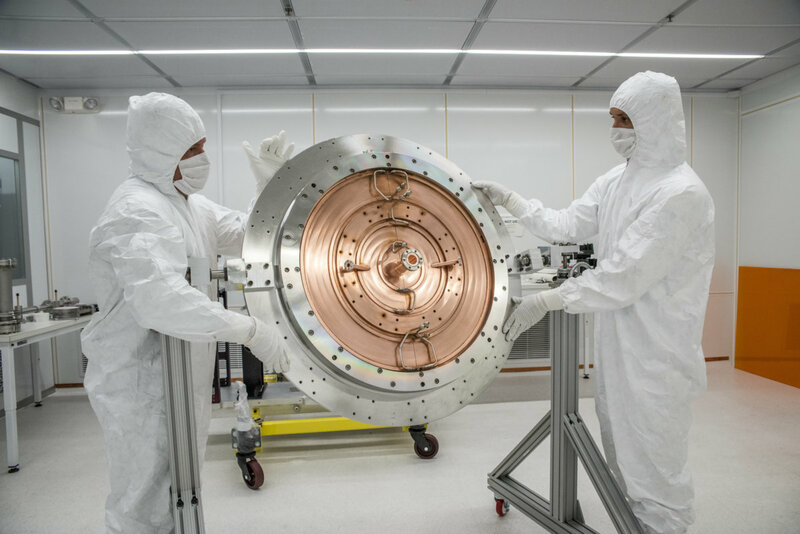 After this electron beam is accelerated to nearly the speed of light, it will be wiggled within a series of powerful magnetic structures called undulator segments, stimulating the electrons to emit X-ray light that is delivered to experiments. Besides the precision engineering that was essential for the injector, Berkeley Lab researchers also developed processes for eliminating contaminants from components through a painstaking polishing process and by blasting them with dry ice pellets. The final cleaning and assembly of the injector’s most critical components was performed in filtered-air clean rooms by employees wearing full-body protective clothing to further reduce contaminants – the highest-purity clean room used in the final assembly is actually housed within a larger clean room at Berkeley Lab. 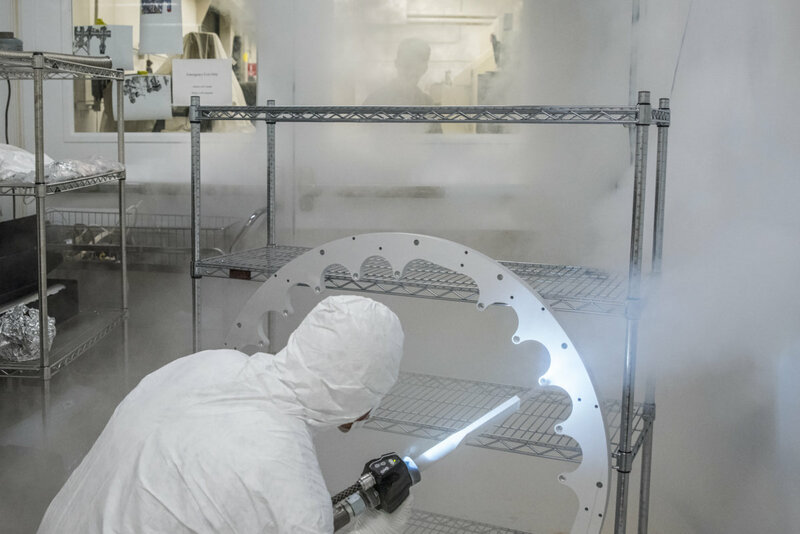 The dry ice-based cleaning processes function like sandblasting, creating tiny explosions that cleanse the surface of components by ejecting contaminants. In one form of this cleaning process, Berkeley Lab technicians enlisted a specialized nozzle to jet a very thin stream of high-purity dry ice. After assembly, the injector was vacuum-sealed and filled with nitrogen gas to stabilize it for shipment. The injector’s cathodes degrade over time, and the injector is equipped with a “suitcase” of cathodes, also under vacuum, that allows cathodes to be swapped out without the need to open up the device. “Every time you open it up you risk contamination,” Virostek explained. Once all of the cathodes in a suitcase are used up, the suitcase must be replaced with a fresh set of cathodes. The overall operation and tuning of the injector gun will be remotely controlled, and there is a variety of diagnostic equipment built into the injector to help ensure smooth running. Even before the new injector is installed, Berkeley Lab has proposed to undertake a design study for a new injector that could generate electron bunches with more than double the output energy. This would enable higher-resolution X-ray-based images for certain types of experiments. John Corlett, Berkeley Lab’s senior team leader, worked closely with the LCLS-II project managers at SLAC and with Berkeley Lab managers to bring the injector project to fruition. “In addition to the injector source, Berkeley Lab is also responsible for the undulator segments for both of the LCLS-II X-ray free-electron laser beamlines, for the accelerator physics modeling that will optimize their performance, and for technical leadership in the low-level radio-frequency controls systems that stabilize the superconducting linear accelerator fields,” Corlett noted. 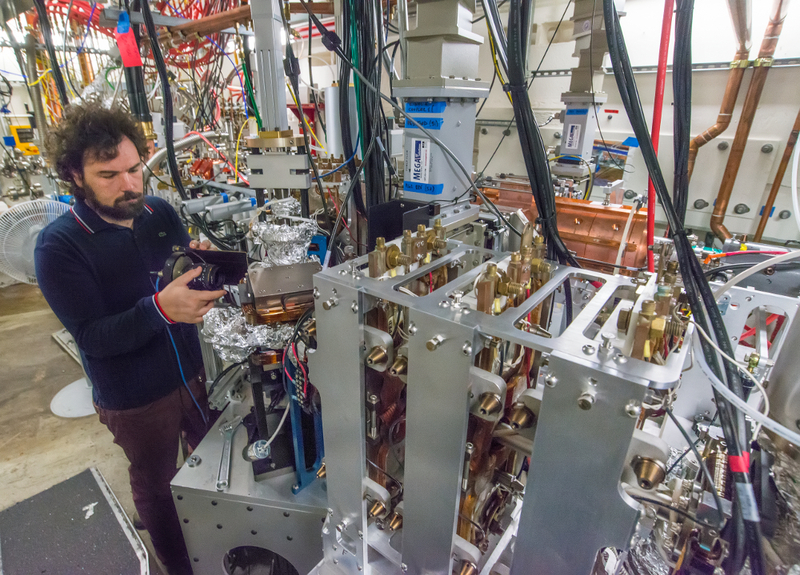 LCLS-II is being built at SLAC with major technical contributions from Argonne National Laboratory, Fermilab, Jefferson Lab, Berkeley Lab, and Cornell University. Construction of LCLS-II is supported by DOE’s Office of Science. View more photos of the injector gun and related equipment: here and here.